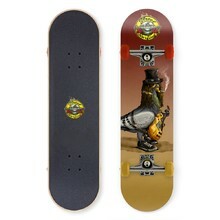 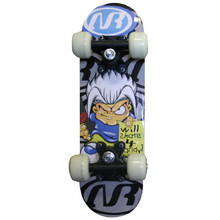 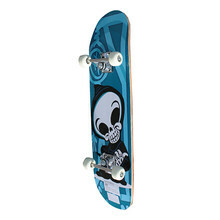 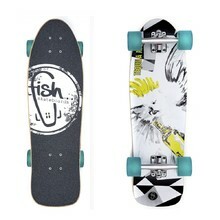 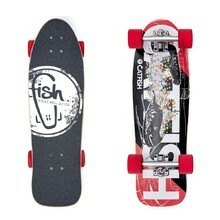 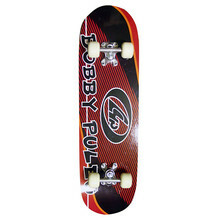 Boards suitable for jumping on U-ramps, rails or in urban areas, as well as performing simple tricks, such as ollie or kickflip. 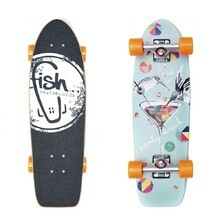 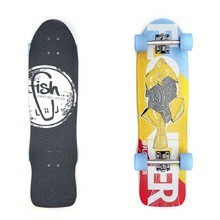 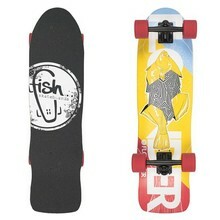 Pennyboard with super-light wooden deck, anti-slip grip, optimum flexibility. Original design on bottom deck, aluminum chassis, middle layer of Canadian maple. 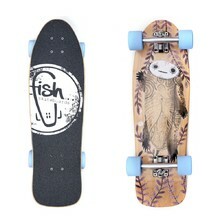 Skateboard for beginners, board - Chinese maple, ABEC 1 bearings.